Top Ten Bestseller! 71 weeks in the bestseller lists. Betrayed, exploited and forgotten. How one boy overcame the odds. 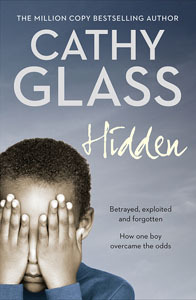 A powerful and shocking memoir of a young boy whose good behaviour and excellent manners hid a terrible past. Tayo arrived with only the clothes on his back. Calm, polite, and very well spoken, Tayo was nothing like the children I normally fostered. Surprisingly, the social worker had no records for Tayo: no school files, family history, or medical records. It was as if Tayo didn’t exist. Tayo wouldn’t answer any of my questions about his past. Only when I saw a scar on his arm did he begin to tell me his dreadful story. It was unbelievable, but I had never met a child before (or since) with such loyalty, strength, and inner resolve.